Worried about being tracked online? Get iAntiSpy, the FREE web privacy protection app for all your devices! 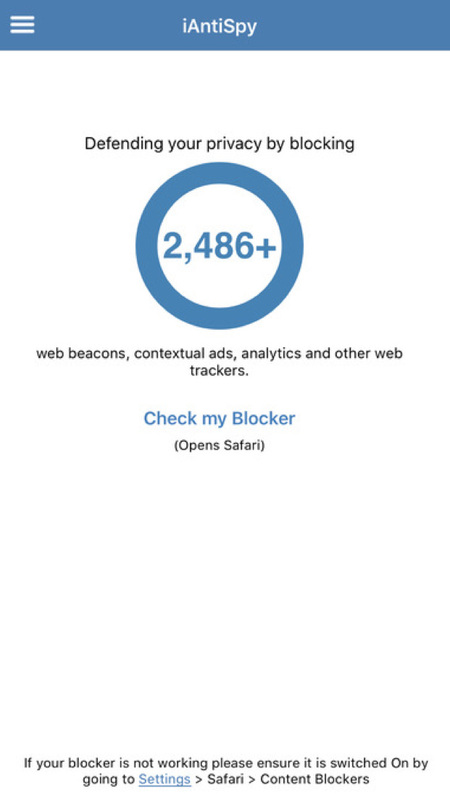 Is your privacy being compromised by web beacons and "smart" pixels? Tired of being followed around by the same retargeted ads on websites? © 2018 iAntiSpy.com All Rights Reserved.